Ray Heberer III has been a full-time band director at Taipei American School (TAS) in Taiwan for 21 years with a long musical history. Today the school counts with 11 bands, including Jazz ensemble and four band directors. Ray also plays 1st trombone in the Taipei Jazz Orchestra. He is a talented tuba and electric bass performer. We are very thankful to someone of his caliber here with us. He gave workshops on improvisation. He talked about the art of talking through music and composing on-the-fly. 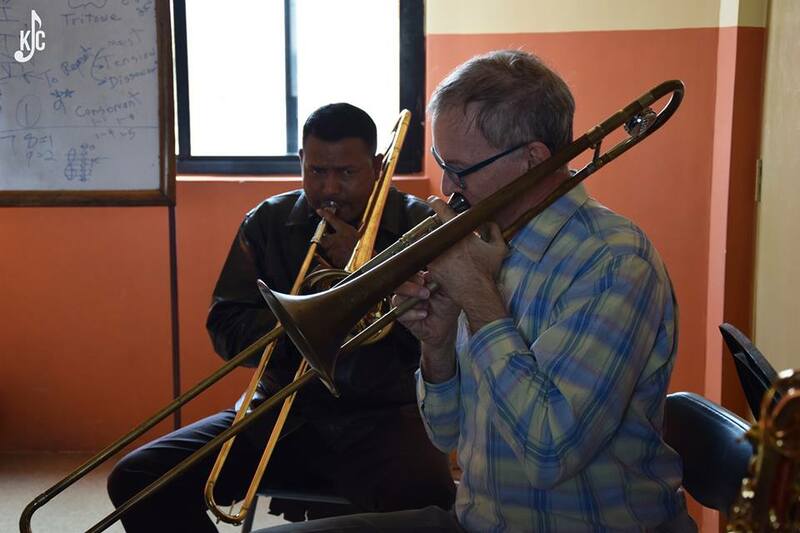 He also featured on our second Impromptu Music Session on the 3rd of February at Moksh, Jhamsikhel, putting together a little big band instead of the quintet which which was the original plan. Ray Heberer’s workshops were from the 29th of January till the 3rd of February at the conservatory. Join us and keep in tune for more!